1 2 DNA DNA.DNA is often called the blueprint of life. 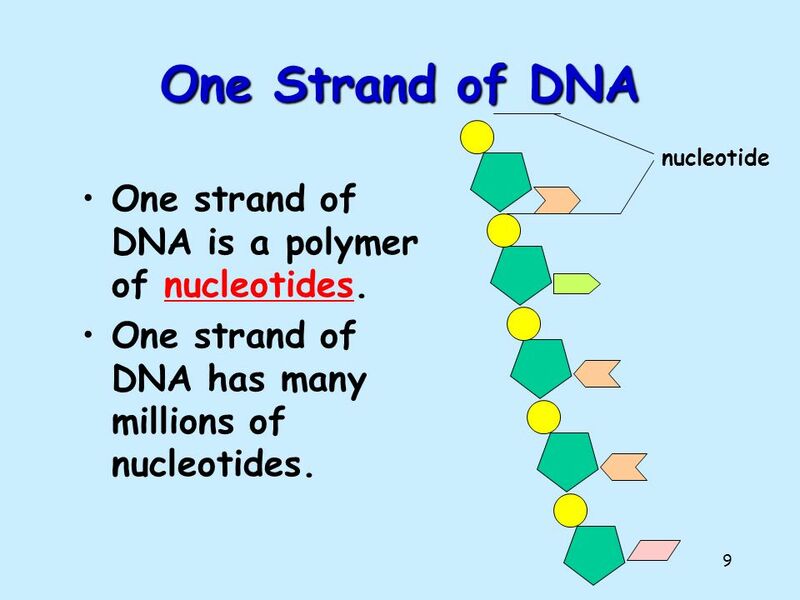 In simple terms, DNA contains the instructions for making proteins within the cell. 3 2 DNA DNA.DNA is often called the blueprint of life. 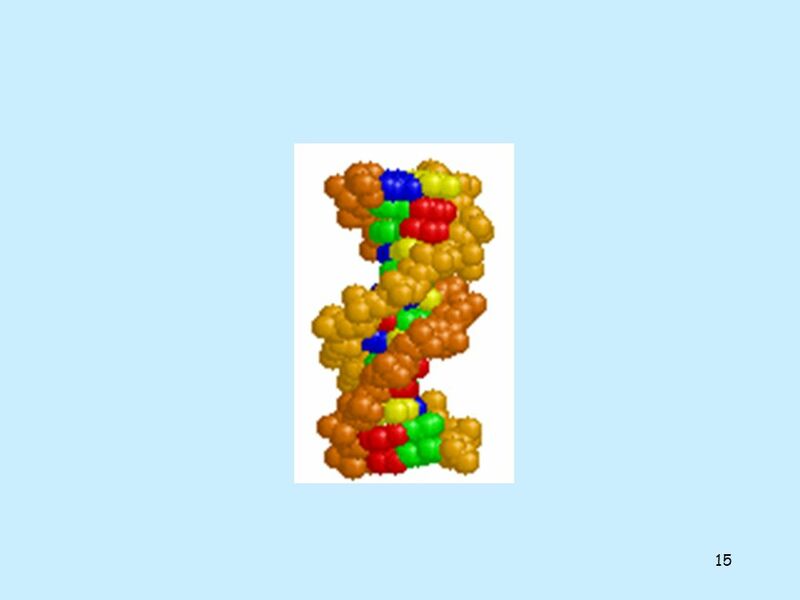 In simple terms, DNA contains the instructions for making proteins within the cell. 4 3 DNA by the Numbers Each cell has about 2 m of DNA. The average human has 75 trillion cells. 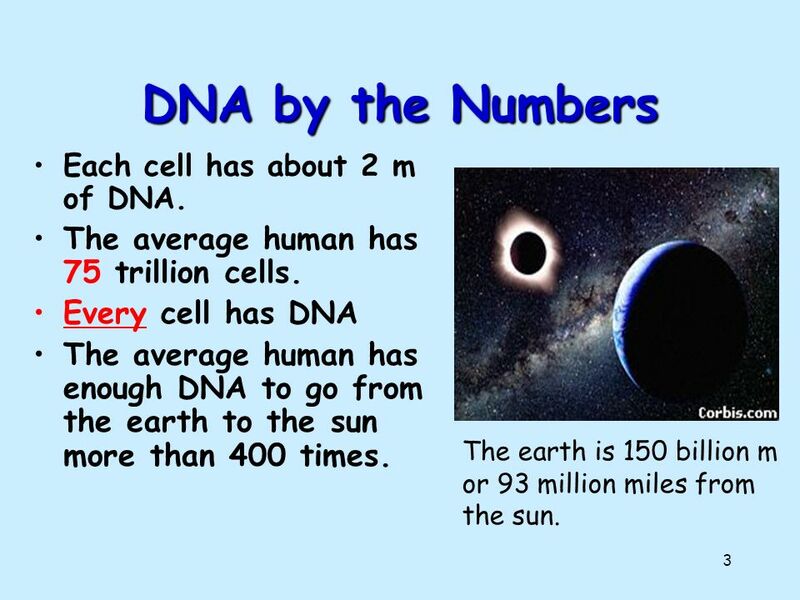 Every cell has DNA The average human has enough DNA to go from the earth to the sun more than 400 times. The earth is 150 billion m or 93 million miles from the sun. 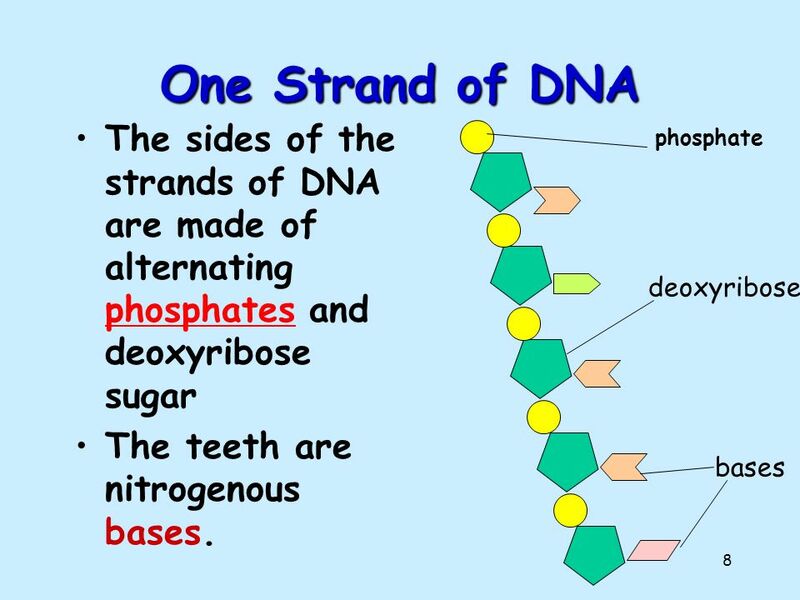 5 4 DNA Why do we study DNA? 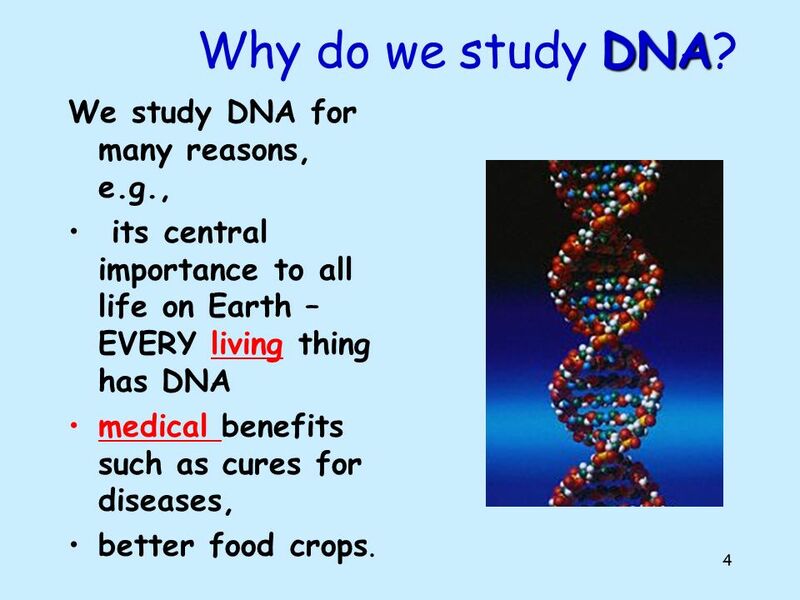 We study DNA for many reasons, e.g., its central importance to all life on Earth – EVERY living thing has DNA medical benefits such as cures for diseases, better food crops. 6 5 Chromosomes and DNA Our genes are on our chromosomes. 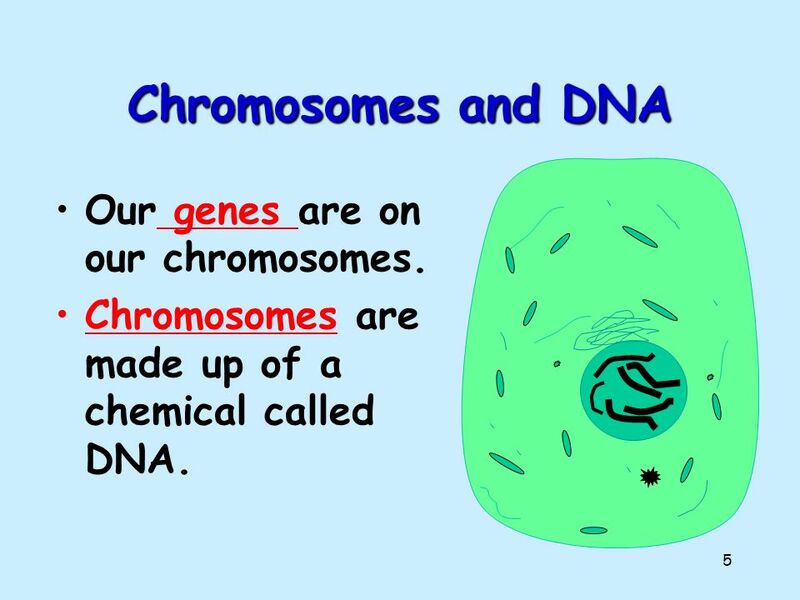 Chromosomes are made up of a chemical called DNA. 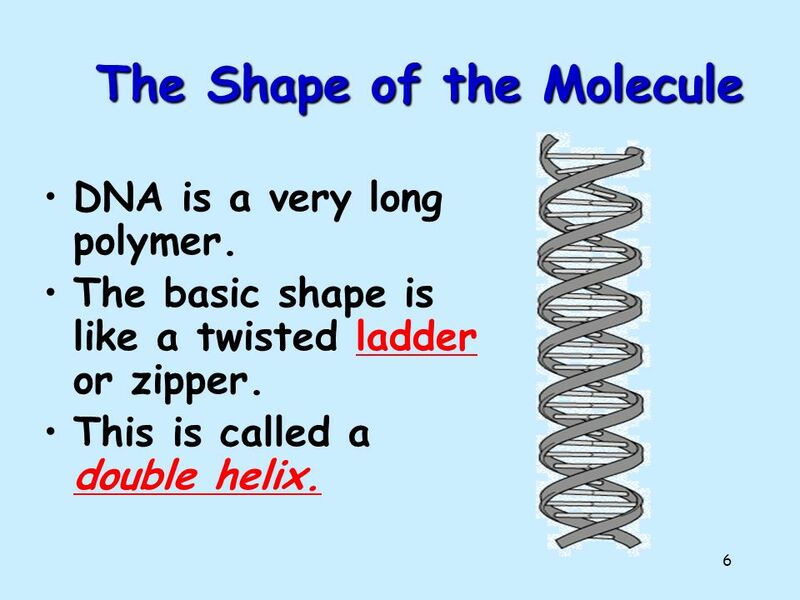 7 6 The Shape of the Molecule DNA is a very long polymer. The basic shape is like a twisted ladder or zipper. This is called a double helix. 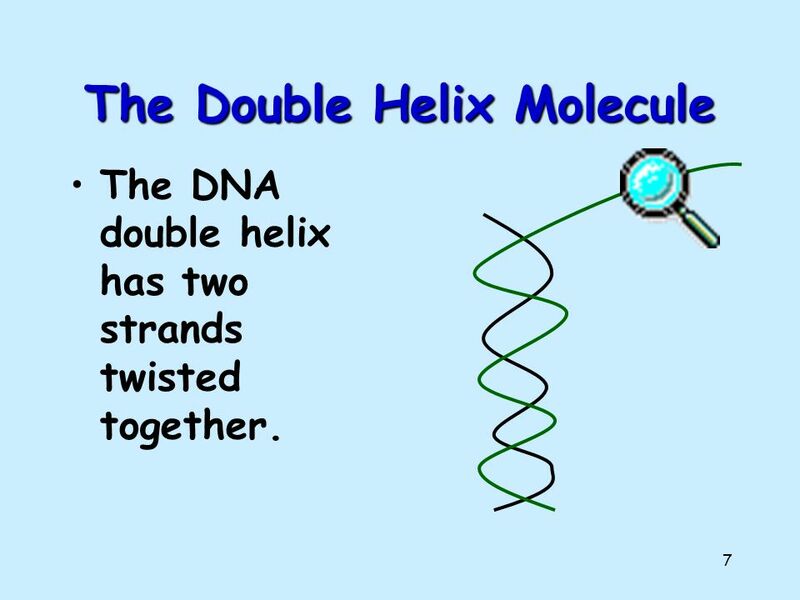 8 7 The Double Helix Molecule The DNA double helix has two strands twisted together. 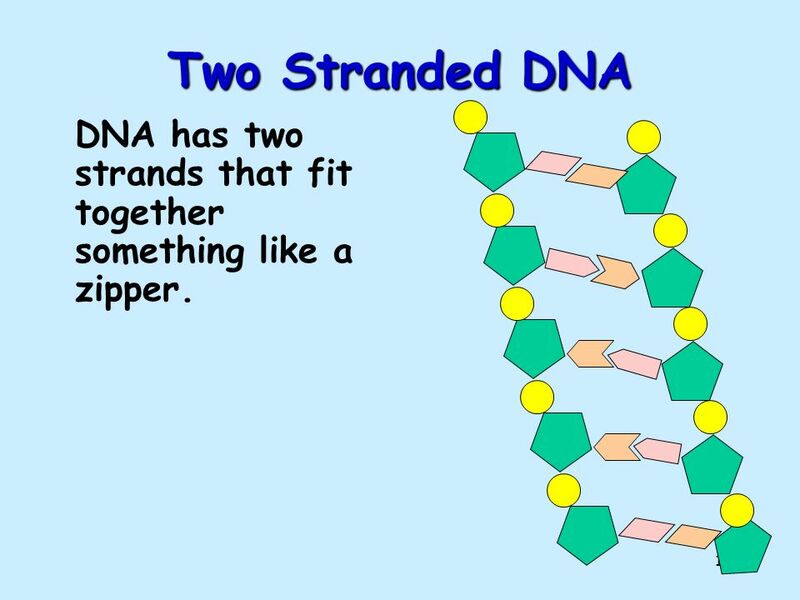 13 12 Two Stranded DNA DNA has two strands that fit together something like a zipper. 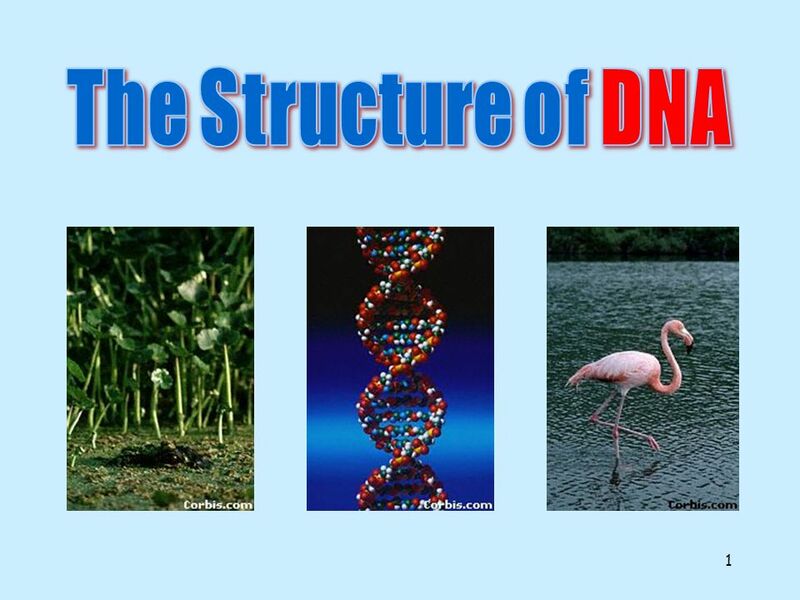 Download ppt "1 2 DNA DNA.DNA is often called the blueprint of life. In simple terms, DNA contains the instructions for making proteins within the cell." DNA DNA is often called the blueprint of life. 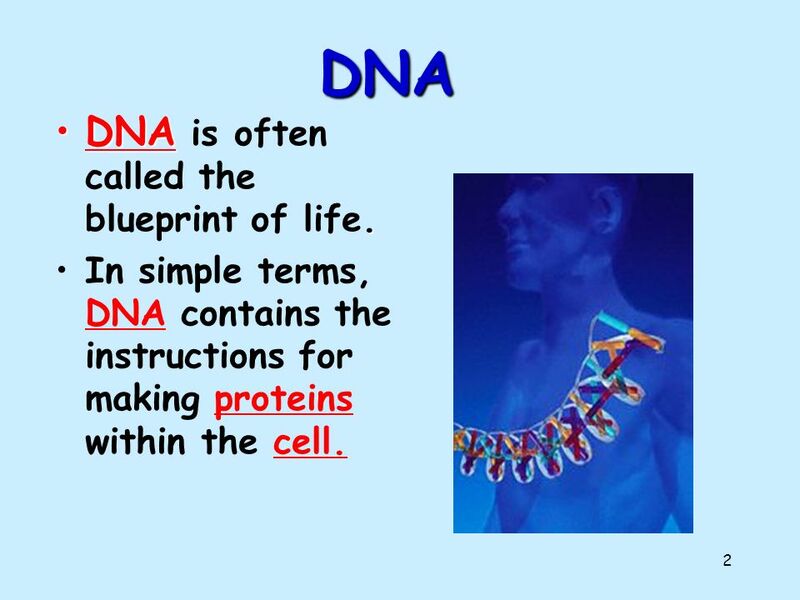 The Structure of DNA All life on earth uses a chemical called DNA to carry its genetic code or blueprint. 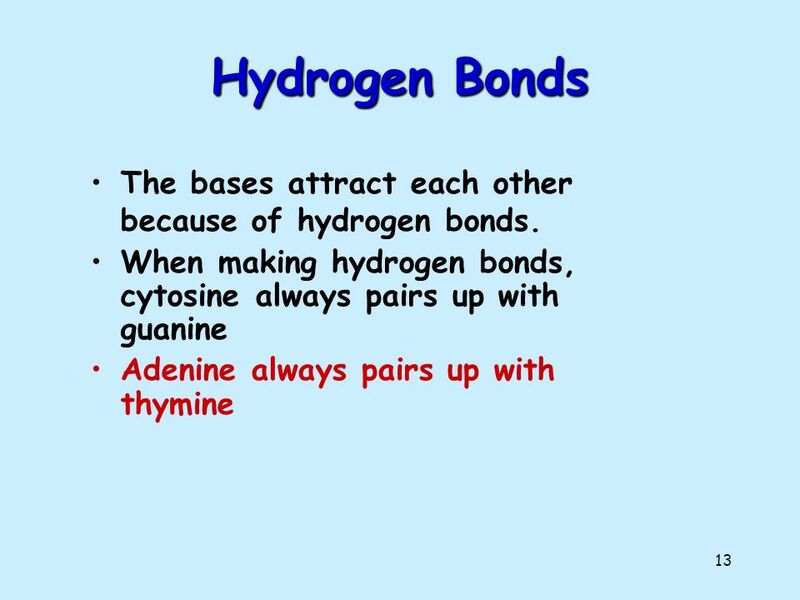 In this lesson we be examining the structure. DNA All life on earth uses a chemical called DNA to carry its genetic code or blueprint. In this lesson we be examining the structure of this unique molecule. 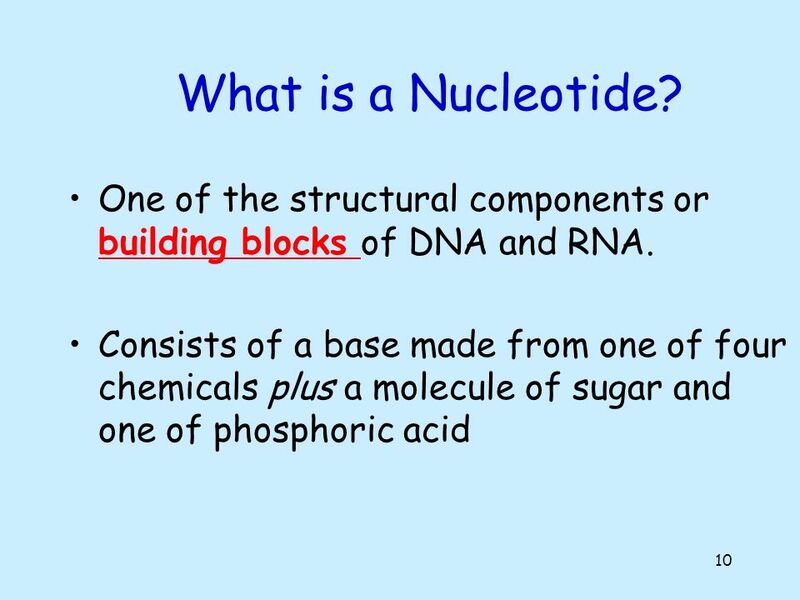 Unit 2 – PART A Inside the Nucleus DNA Sturcture. What do you think this is a model of and why? Ms. Mezzetti Lynn English High School Science Department. 1 History Before the 1940’s scientists didn’t know what material caused inheritance. They suspected it was either DNA or proteins. 1 2 Chromosomes and DNA Chromosomes are made up of a chemical called DNA. They contain genes. 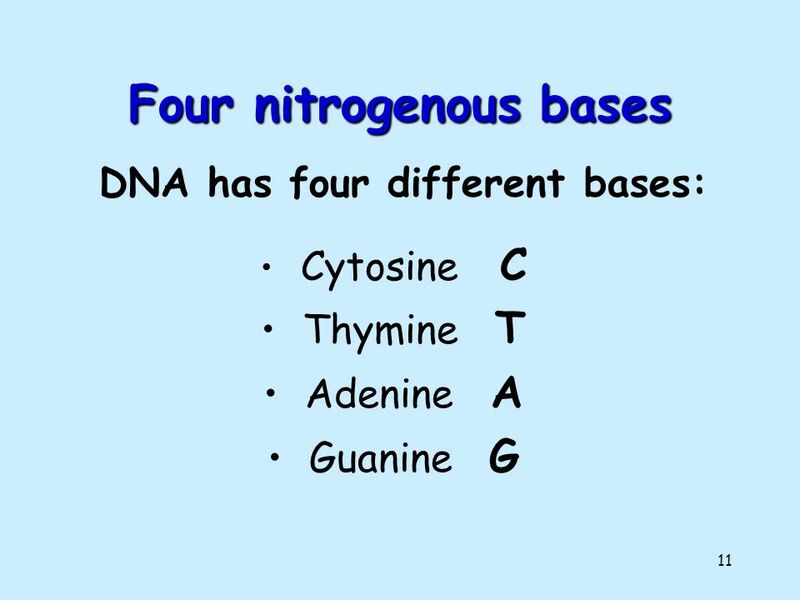 DNA Need to know – molecular components, role of each. Revisit y12. 1  Walter Sutton discovered chromosomes were made of DNA and Protein  However, scientists were NOT sure which one (protein or DNA) was the actual genetic. 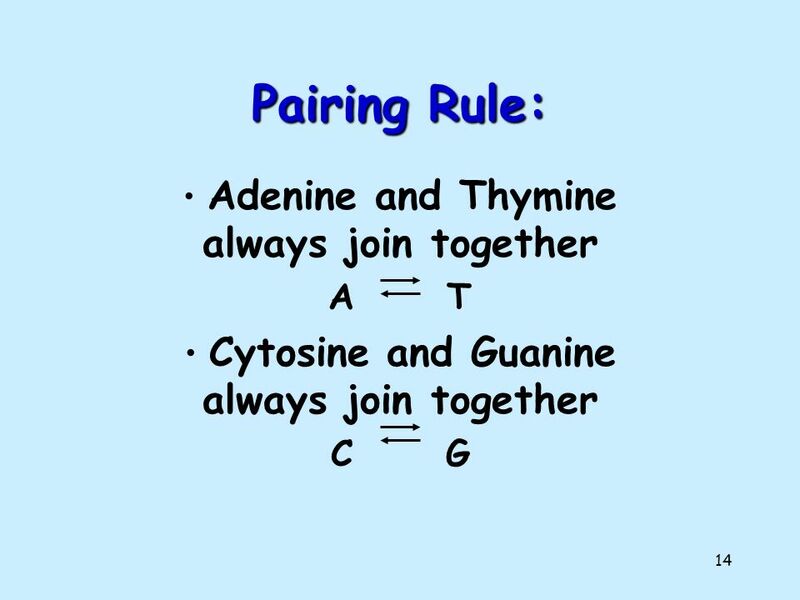 Chapter 11: DNA and Genes (Part 1). 1. Although the environment influences how an organism develops, the genetic information that is held in the molecules. Cell Processes SUGAR BASE Phosphate Group. Bell warm up What is DNA? What do you know about DNA? What does it do? Draw DNA?